Are you a startup dynamo on the prowl for a promising, new career? Then venture no further! Berlin’s got the goods when it comes to startup opportunities, and we’ve got the top of this week’s crop – right here. About Team Europe: We are one of the Top Players in the European Internetmarket and the Team Europe Founders have already helped numerous successful Internet enterprises on their way; for example: studiVZ, Spreadshirt, brands4friends, Sponsorpay, Madvertise, Misterspex, Lieferheld/Delivery Hero and much more. In order to further our dynamic business development, we want YOU starting as soon as possible! Atlantic Ventures is an entrepreneurial ventures firm focused on creating and supporting innovative ventures. Led by Christophe Maire, who co-founded Gate5, Plazes and txtr and has 15 years of experience in company building and investing, we have been involved in numerous success stories such as SoundCloud, Amen, Gidsy and Monoqi. As we prepare to start our next venture, we want you to join our team as Entrepreneur-in-Residence and CEO. The best Berlin based startup ever is looking for the world’s most awesome summer interns. 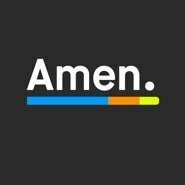 Amen is opinionated, honest, funny and addictive. It is the place for creating and sharing opinions about the extraordinary things in life. Take a stand about the best (or the worst) people, places, things and ideas. Our users are saying that “checking Amen instead of Facebook every 10 minutes is the best new habit they have“. You know what you’re in for. More opinions on Amen here. PS: Summer in Berlin with Amen? Best experience ever! This American gone-German company is on the hunt for a Communication strategist with a particular talent for social media. In the position, you’ll need to deliver user-focused campaigns and coordinate strategies with suppliers and the HQ communications department. Required background? Communications experience, particularly in Internet and mobile technologies, connections to key media and other influencers, and fluency in German and English. If interested, send your CV, photo and salary expectation to j.rathke@bgpm.com.